Tucked away at the end of a short arcade and part of the Cubacade was Le Normandie restaurant established in 1961 by Renée Louise Charlton. 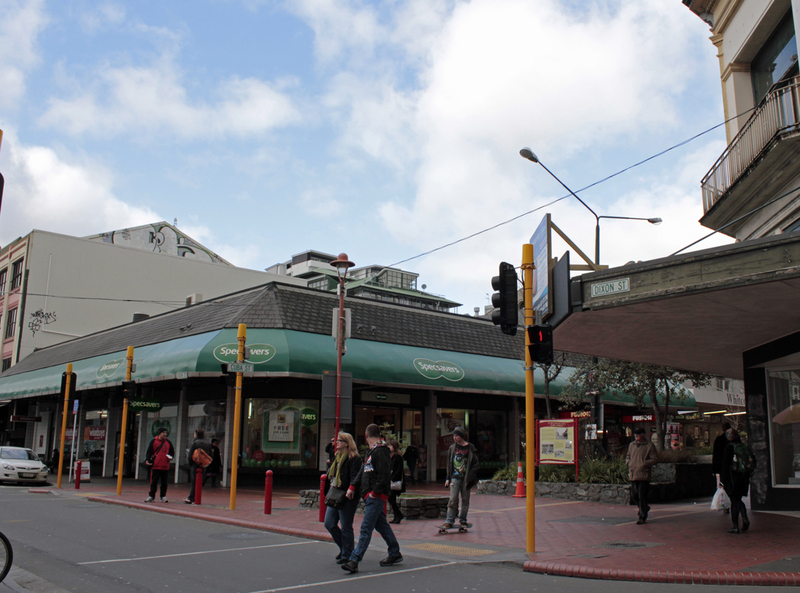 Also known as Madame Louise, she arrived in Wellington in the 1950’s and first worked at the Montmartre Coffee House. 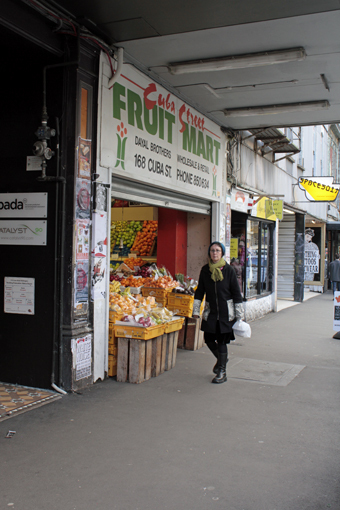 Madame Louise brought top quality French cooking and fine dining to the city. During the 1960’s and early 70’s Le Normandie was popular with politicians, diplomats and international entertainers such as the Rolling Stones and those members of the general public who could afford the high prices. People would book weeks in advance to taste her famous Chateau Briand for the costly sum of 17/6 . Many dishes on the menu involved flambéing carried out at the diners table, often by one of her imported European waiters. In 1961 the liquor laws changed allowing wine to be served in restaurants and it is said the wine list was French, extensive and expensive, perfect for those customers wanting to impress guests not used to such fine dining. Madame Louise was a formidable woman, known to have fired waiters or chefs for mistakes that would not be considered admissible today. She is also known to have hit her staff with whatever was at hand . Sir Des Britten worked for her very briefly before setting up his own fine dining establishment, the Coachman. 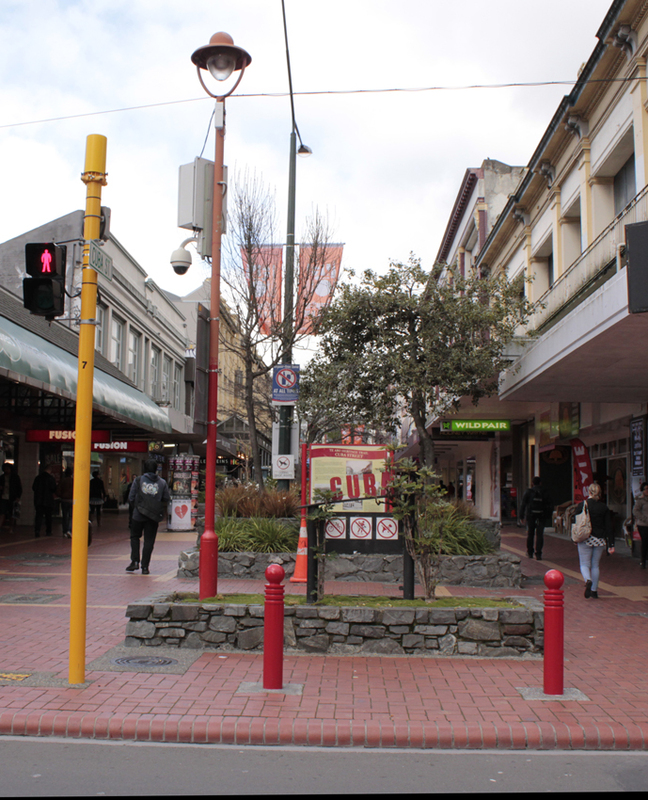 Tony Astle of the famous Auckland restaurant Antoine’s started out here at the tender age of 15. 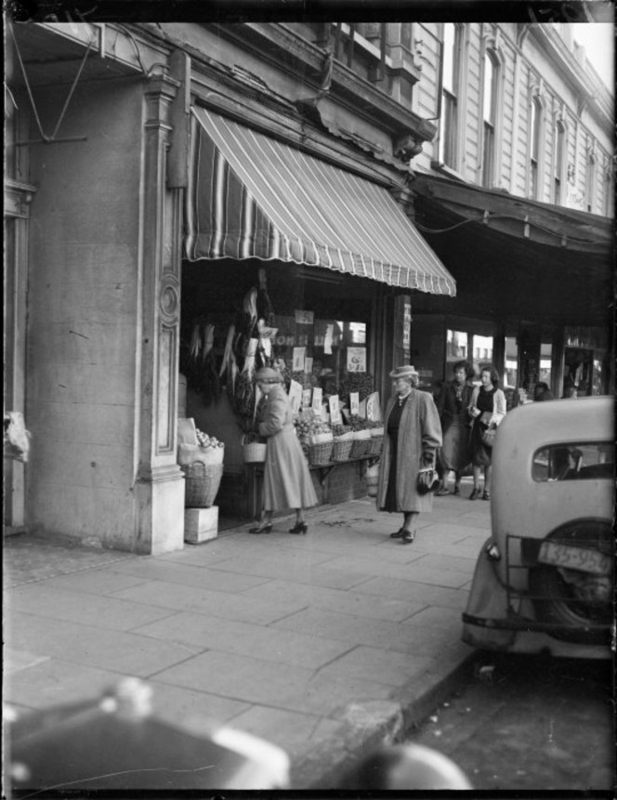 Astle worked as a waiter and kitchen hand for Madame Louise. Tony remembers being fired for setting alight to a customer’s cloth napkin. He left and joined Des Britten at the Coachman. Madame Louise believed them to have copied some of her famous recipes and didn’t speak to either man ever again. 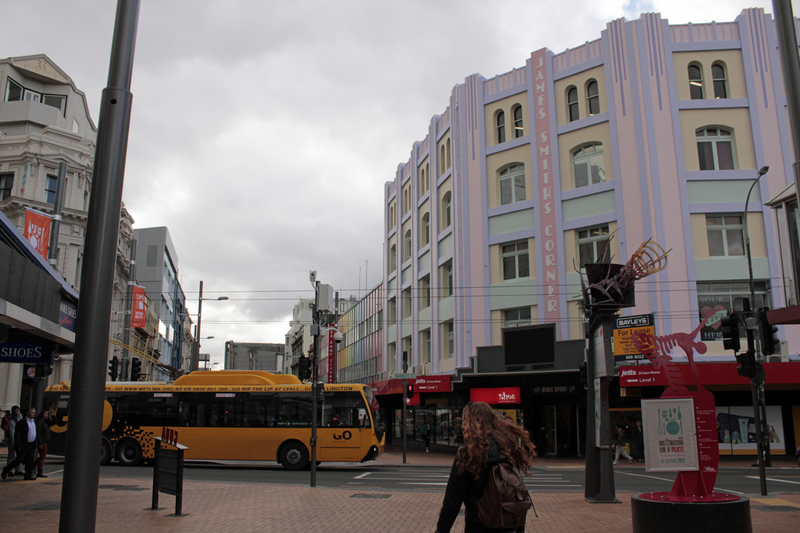 The Barber Building is a fine example of the Edwardian style of architecture and is a notable feature of the Cuba Street precinct . 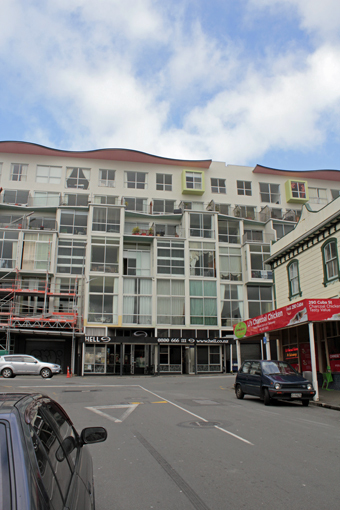 Originally a five roomed home built of Totara was built at 125 Cuba Street. 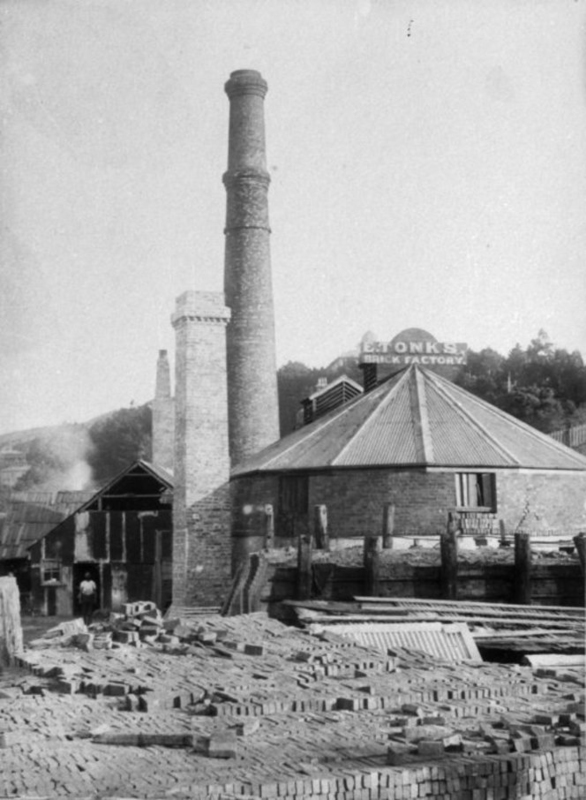 In 1863, W.P Barber, a soldier who fought in the Maori wars put up a single story wooden building which he used as a dye works. His company prospered so, in 1910, he replaced it, with the building that stands here today. There were large dye vats at the rear which used water from a nearby stream. 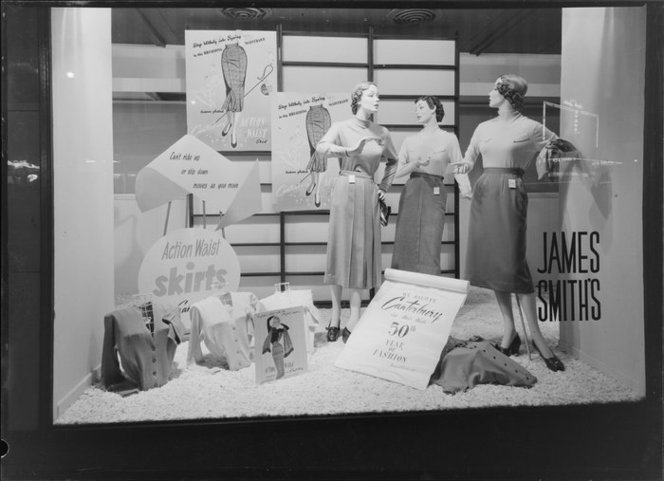 By the late 1920’s the business had moved out of the central township possibly because of its toxic fumes and smells. The Barber’s buildings 1910 Edwardian style. The building was rented to a number of different tenants including a dance school on the second floor,which was established by Kathleen O’Brien. This dance school was later taken over by one of her students, Dorothy Daniels. Other tenants over the years including sewing machinist’s, a photographer and a branch of the Communist party ,which was there from the mid 1940’s to the late 1950’s. Unity Theater was established by the Communist Party members. When they left Dorothy Daniels took over the whole two floors and taught ballet students there for nearly 40 years. Daniels held an Advanced Teacher’s Certificate of the English Royal Academy of Dancing and was appointed an examiner for that society. A legacy of her passion and lifelong dedication to the teaching of ballet was the establishment in 1982 of the Dorothy Daniels Dance Foundation to foster dance in New Zealand. In 1970 one of Dorothy’s tutors, Valerie Bayley, and a promising student, Anne Rowse, took over the school. In 1976 the school was bought by Deirdre Tarrant who has tirelessly taught, danced, directed and supported dancers ever since. She is only now contemplating retirement. Deidre was a student of Dorothy Daniel’s and ,in the 1960’s worked as an actress with Nola Millar next door at 127 Cuba St.
Deirdre Tarrant with Footnote Dance rehearsing . Photo c/o FishHead magazine. The two beautiful dance studios on the first and second floors of the Barber building are accessed via a character wooden staircase, Each week 300 keen dancer’s climb these stairs to attend classes run by the Tarrant dance and theatrical school or others including salsa classes, folk dance and jazz ballet. This staircase, was nearly destroyed when the building was earthquake strengthened in 1999. Luckily the owners fought to retain it and won. In 1992 Deirdre Tarrant established Footnote Dance on the 2nd floor. This small dance company of around six dancers has performed throughout the world and been an outlet for many talented dancers to express their creative energy and remains a testament to Deirdre’s skill, experience and passionate energy. 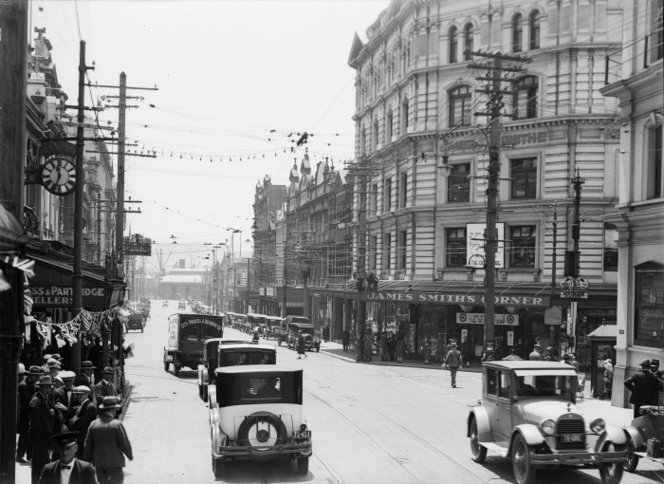 The first Bristol Hotel in Cuba St was located on the corner of Cuba and Ghuznee St’s and built in the 1920’s. There are records of the hotel being a favorite Hotel for touring theater performers to stay. The current Bristol Hotel located on this site is made up of 2 buildings; however the hotel went through hard times and reduced in size back to one building for a number of decades. For a time number 127 the second building was used as a clothing factory and by the 1960’s it was in poor repair. This badly maintained building offered cheap rent and an opportunity for a group of theatrical artists . 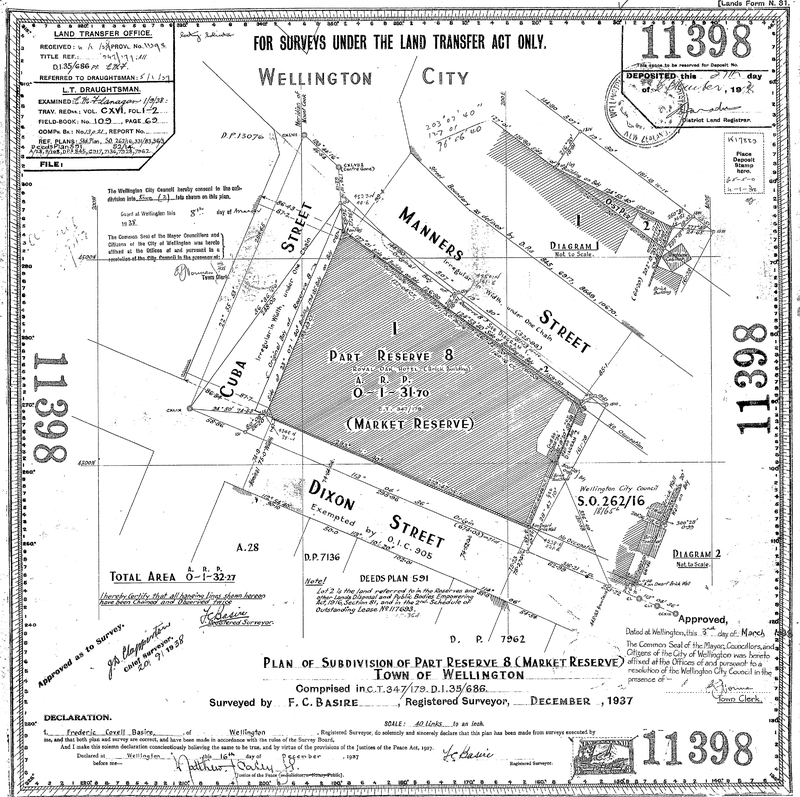 Nola Millar is credited with being Wellington’s mother of modern theatre. 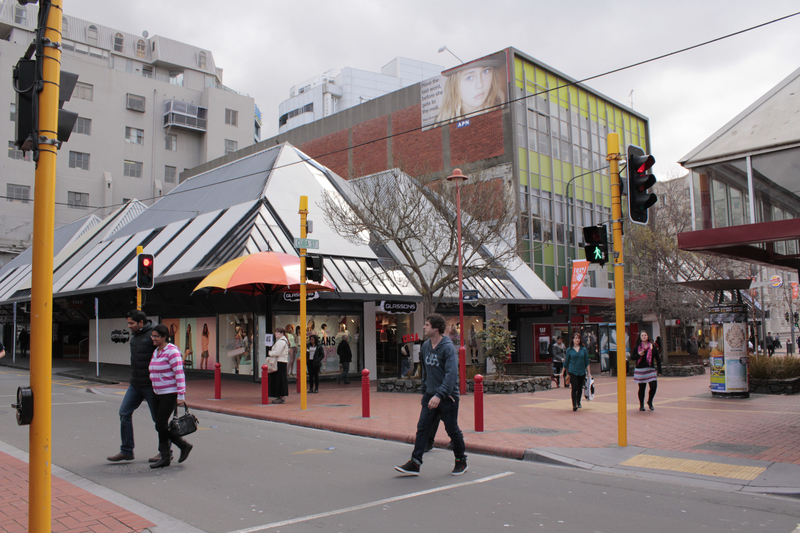 In 1968 Nola Millar created the New Theate and established rehearsal rooms and a small 60 seated performance space on the second floor of 127 Cuba St.
Nola Millar was born into a theatrical family in Wellington and she was a driving force in the establishment of the New Zealand Theatre Federation, which was established in 1969. 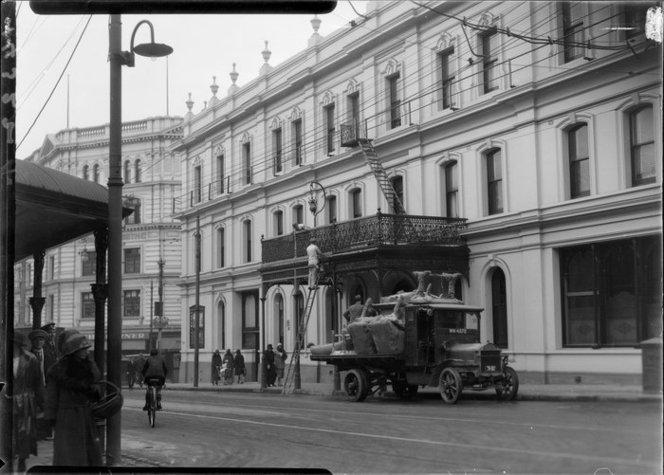 Set up by number of passionate theatre practitioners, its first office was, also located at127 Cuba St.
During the day Drama school classes where held here and during the evenings classes where held for amateur theatrical members of the New Theatre and plays where performed in the private members only theatre. 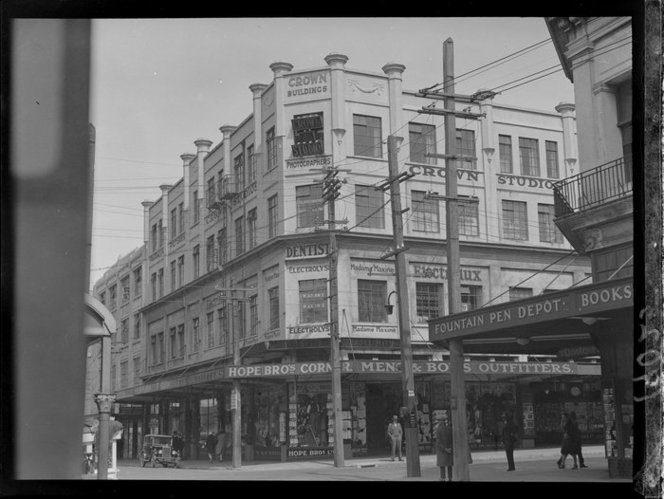 NZ Arts Council appointed Nola to set up the first NZ National Drama School which was also located in 127 Cuba St. The Arts Council paid the rent for the building but other than the financial support they left Nola to run the school as she wanted. Nola set the curriculum and employed other tutors, including Grant Tilley and Ian Mune. The first intake of students in 1970 had nine students including actors such as Jennifer Ludlum and well known chef Ruth Pretty. 1978 NZ Drama school audition. 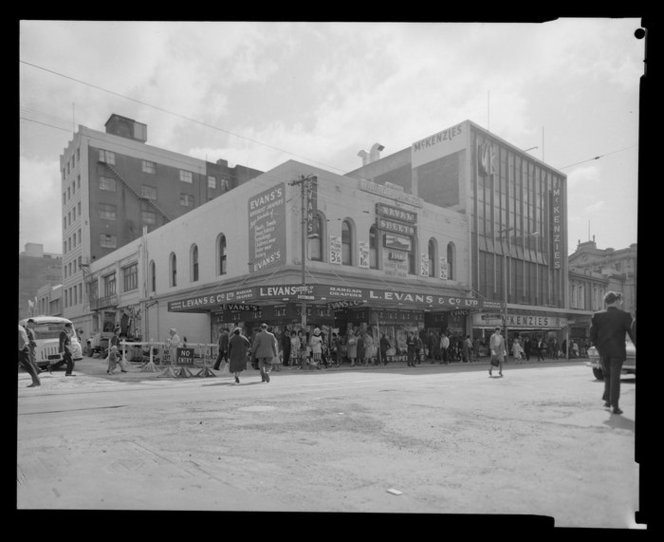 From 1944 to 1949 Unity Theatre also had there theatre in Cuba St. They shared a space with the Royal Ancient Order of Buffaloes. 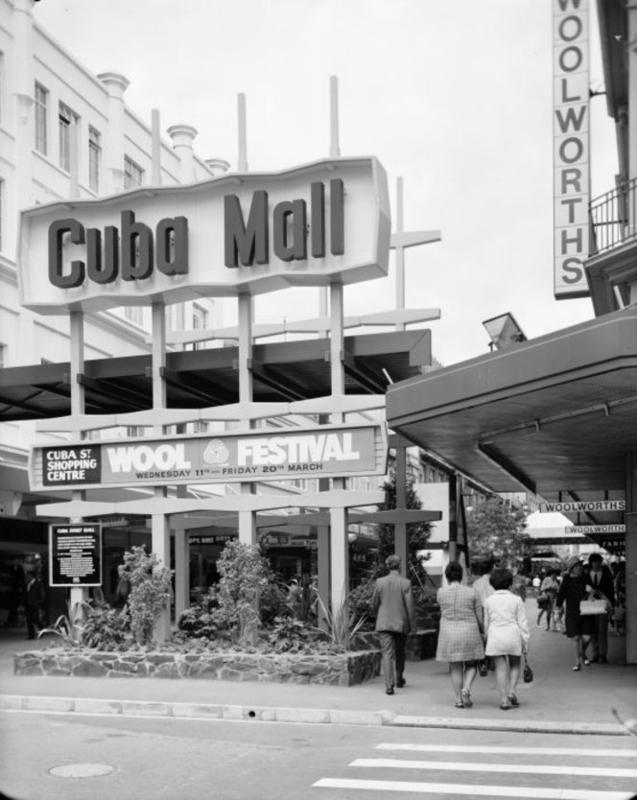 This was also the case in the 1970’s for well known Bats theatre and the drama federation who shared a space with the Buffaloes at 1 Kent Tce. The original Unity theatre was made up of card carrying communists who performed plays with an anti-fascists message.Like the people’s theatres Unity placed an important emphasis on training. It intended ‘to develop its own producers, script writers and technicians, as well as actors’ and emphasised that ‘the people in the group are made up of enthusiasts interested in the serious study of all aspects of drama. In 1943 their policy stated that the group was to pursue the study and practice of the art of drama which is real and sincere in its presentation of life.